Sign up for free and just shop with Harveys as normal. Our members earned £10,000+ at Harveys in the past month. Harveys cashback can be earned simply by clicking through to the merchant and shopping as normal. Harveys Cashback is available through TopCashback on genuine, tracked transactions completed immediately and wholly online. Put your feet up knowing you have made a great saving by taking advantage of our Harveys cashback deals when buying furniture. Harveys is the largest furniture specialist in the UK, with more than 150 stores nationwide, and, whether you are after pieces for your lounge or dining room, you can be sure of receiving quality items, as well as great customer service. Their aim is not to be the cheapest. Instead, they set out to inspire customers with intelligent styling and design which will make their furniture work for you, no matter what type of property you own. Many Harveys furniture ranges are either made or upholstered in Britain, while they were the first big UK furniture brand to offer customers the chance to buy items online. 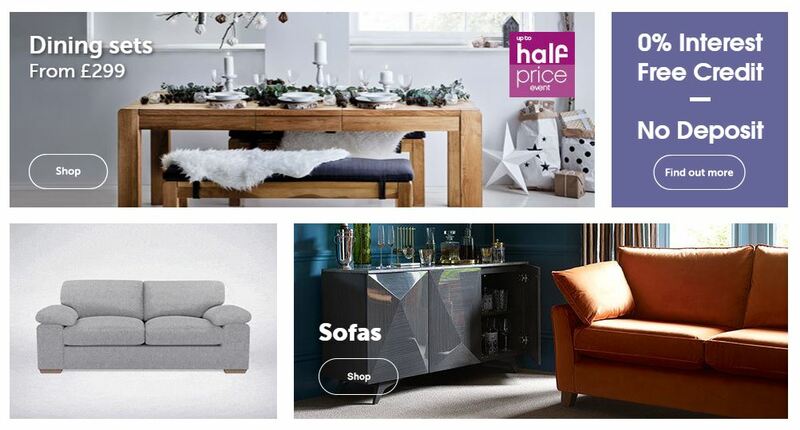 Shoppers can grab a bargain in the Harveys sale section, which you can be sure will be filled with amazing discounts, while they give you the chance to design your own furniture thanks to their Sofas by You range. 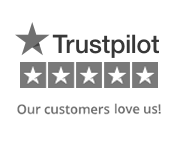 They also offer a price match and 10-year product guarantee, while if you spend more than £250, you can take advantage of an interest free credit payment option. The Harveys range includes everything you could need for your lounge or dining room. They offer a choice of four distinct collections. These are At Home, which features ultra comfy family favourites, Moda, which is their modern Italian collection, Sofas by You and Bay Leather Republic, which includes quality handcrafted classics. Shop for leather or fabric sofas, whether you are looking for recliner sofas, four-seaters or relaxer chairs, while when it comes to dining options, you can pick up a wood, glass, gloss or marble dining table, chairs and storage items like display units and sideboards. If you are looking to give your living room a complete makeover, you can browse lamp, console and coffee tables, entertainment units and accessories like rugs for the floor and mirrors for your walls. If you are looking for beds, mattresses or bedroom furniture, meanwhile, you will be able to click through to the Bensons for Beds website. With more than 5,000 possible combinations available when it comes to choosing a new sofa, there is a great way for you to build the ideal piece of furniture to suit the style and size of your house. You can either begin the process by shopping by size or range. If you select size, you will be able to narrow down your options to a two-seater, three-seater, armchair, footstool, sofa bed, corner sofa or love seat. Once you have decided on your piece, you can choose from one of the up to 19 ranges available. Finally, you will be able to select the type of fabric and the feet (if different options are available). Harveys are determined not to be beaten on price and, as a result, offer a price match guarantee. 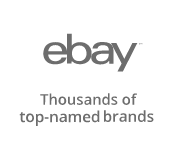 Whether you have already made a purchase or are looking to buy, if you find the same product - up to within seven days of purchase - available for less from a competitor in the UK, they will match it and give you an extra £10. To claim if you purchased online, all you will need to do is give them a call. When you make a claim, you will need to provide the name of the competitor and the store location, as well as the name of the name of the competitor's product. Harveys will also need to know the specification of the competitor product and details such as the design, colour, fabric, options (such as feet), framework, spring configuration and components. You must supply the product quote from the competitor, detailing the relevant information, within seven days of the Harveys invoice date. The price match guarantee does not include delivery charges, care & protection, warranty or any other options. Buying a new sofa or item of furniture can be a big financial commitment, but you can spread the cost with interest free credit for up to four years. There is no need to pay a deposit and payments will start after you have taken delivery of your furniture. Interest free credit is only available on items over £250, while you can spread your payments over six, 12, 24, 36 or 48 months. To apply, you will need details of your previous address if you have lived at your current one for less than three years and your bank account, and provide an email address and contact telephone number. When it comes to buying online, just click Creation Finance as your payment method in the checkout. Sit back and relax and get a great cashback deal when buying furniture from Harveys. Harveys is the largest furniture specialist in the UK and aims to inspire you with intelligent styling and design to make your furniture work for your busy home life. Harveys provides you with a choice of quality furniture for your lounge or dining room at value prices. Shop for leather, fabric and corner sofas, dining tables and chairs, tables, lamps, rugs, cabinets, sideboards and more.